Legendary recording studio set up and run by Phil Savage, up by Five Ways, Outlaw played host to the great and the good of Birmingham music from the late 70’s and 80’s: Duran Duran, The Killjoys, Fashion, Dexy’s Midnight Runners, Blue Ox Babes, Fine Young Cannibals, Eclipse, Black Sabbath, you name it, they were here. I’m now seeking a definitive list of musicians who recorded here and a complete discography of records that come out of Outlaw. Can you help? 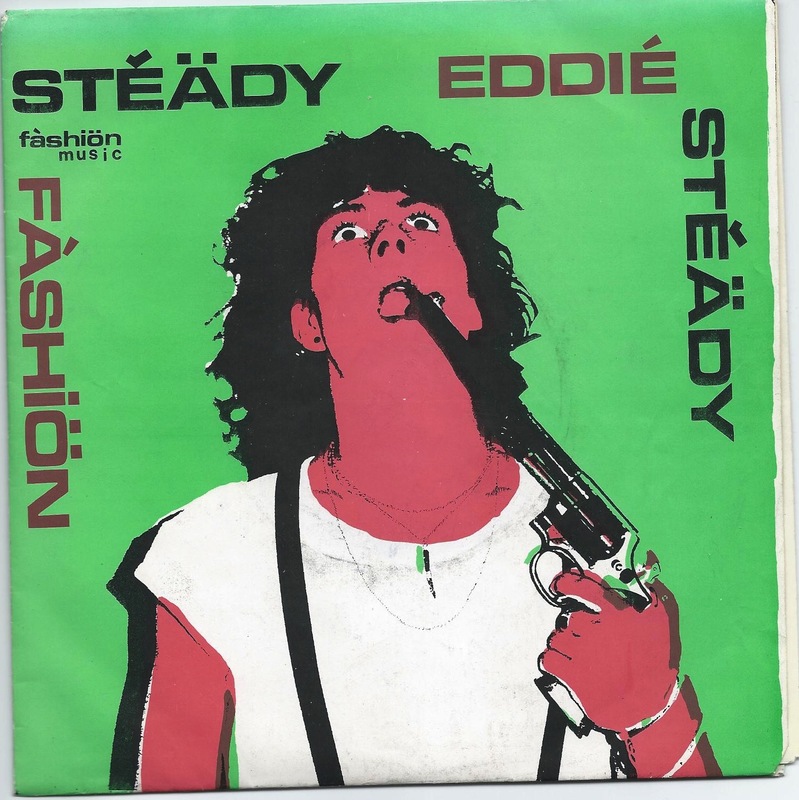 First one up is Fashion and their debut singe Steady Eddie Steady/ Killing Time Thanks to Ron Brinsdon for sending these into the archive. I remember when we got to Outlaw to record this in 1978, Judas Priest had rehearsed there the night before and had all their gear set up on the studio floor – some of it was still smoldering. We’d never been in a recording studio together before, and we were so excited that after a couple of hours we all had to go round the corner to the kaff for sausage sarnies and mugs of tea. Once we’d got some tea and grease in us the rest of the session went really well. Phil and Ebber were a lot of fun to work with in the studio, although I’m not sure they knew what to make of what we were trying to do. I’m not entirely sure we knew either, beyond trying to record something that sounded different. A couple of weeks later, I remember walking up Moseley Road with drummer Dik Davis listening to a transistor radio when BRMB’s Robin Valk’s first played the tape of this recording on his show. In 1980, we went back to Outlaw Studios, right at the end of my being in the band – I think we were looking to recapture some of that original magic. 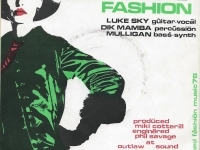 There’s a photo of an ad for Outlaw on my facebook page “Luke Skyscraper James” that David Newton of Mighty Lemon drops sent me today that lists Outlaw customers as:Specials, Selector,Dexy’s,Fashion,Ozzy Osbourne,Judas Priest, SGB, Quartz,Denizens, Clerks,Wide Boys, Quads, Vision, Big Bear, Jet Records, BRMB and B’ham Rep. Sad to report Ive just come from Phils funeral and Wake.Lots of people there genuinely moved.He believed in music and helped so many local musicians and bands. A song of his “dark eyes” sang by him in his band sundance was played,a photo montage against Dexys “Celtic soul brothers” and a moving bluegrass ballad by The Toy Hearts.as well as heartfelt eulogies by his sons and sister. Met him when I recorded a 3 track demo at outlaw in 1977 he helped and encouraged me through the 60,s and into the noughties. Thoughts go out to Tina and his boys. Very sorry to hear that Phil Savage has passed on. He was a key figure in the Birmingham music scene and I have nothing but fond memories of his laid-back encouragement and advice in my formative years as a musician. Phil was an inspirational man and I am still gobsmacked. He helped us (Holy City) beyond belief and for that I cannot praise him enough. I have met a few people in the recent past who knew him through music and played with him. They had nothing but admiration and praise for him. I spent a lot of time with Phil and he never let on to his past . The list of bands he helped from Birmingham and beyond is proof of the man’s talent. It’s a sad loss to us all. I was also at Phil’s memorial/funeral service. 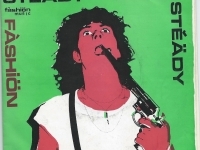 I played in a band, simply called ‘Savage’, rehearsing, writing and recording with Phil Savage at Outlaw between 1978 and 1981 and after that spent time with Phil writing and recording songs. The band Savage became Starfighter and did a world tour supporting AC/DC. Phil and I left before this! I was in and out of the studio pretty well weekly from late 1978. As to your definitive list of names who came through I can definately recall the following: Judas Priest, Ozzy Osbourne with Randy Rhodes, Steve Gibbons, Dexys Midnight Runners, Ruby Turner, Steel Pulse. Local bands used to do radio sessions for BRMB radio’s Robin Valk Show from there – Quartz, Reno I can recall but there were very many others. My band ‘The Cravats’ recorded our first demos at ‘Outlaw’ in 1977, in the early days of punk. It was our first experience of a studio and we hadn’t got a clue what we were doing. It was unbelievably exciting. Although it was very early on and there was still quite a lot of antagonism between old school rockers and us young upstart punks, Phil was very helpful and and supportive. He certainly helped us to sound the best that we could at the time. From our second session at ‘Outlaw’, we released the single ‘Gordon’ / ‘Situations Vacant’, before being signed by Walthamstow label ‘Small Wonder. Our first album ‘The Cravats in Toytown’, re-released only just recently, although recorded at ‘Blaze’ in Torquay, was re-mixed at ‘Outlaw’. I’m really glad to hear people coming out of the woodwork to remember ‘Outlaw Sound Studio’ as an important chunk of Brum’s cultural past. We recorded at Outlaw a couple of times back in the mid 80’s. Phil was really laid back – I remember the one time we were there he appeared to have partaken of the funny fags and we had a deep and meaningful conversation about the difference between “flammable” and “inflammable”. We worked with Phil at Outlaw as The Undertakers & Me-I-Mafia late 70’s early 80’sand had some great times there. In fact we were doing a remaster the other day of a track recorded at Outlaw which still sounds very bright and punchy. Remember doing some night time sessions there with Phil at Outlaw, under the influence resulting in Phil lying under the desk with his feet up on the console. we got a great dub out of that, albeit we did a remix the next day. Great guy / great studio. We’re reissuing a lot of Birmingham Reggae, bands that definitely recorded at Outlaw include: Black Symbol, Oneness, Zephaniah, Sceptre, Man From The Hills, Mystic Foundation, Black Knight, Gerald Love, Truth & Rights, and Benjamin Zephaniah. 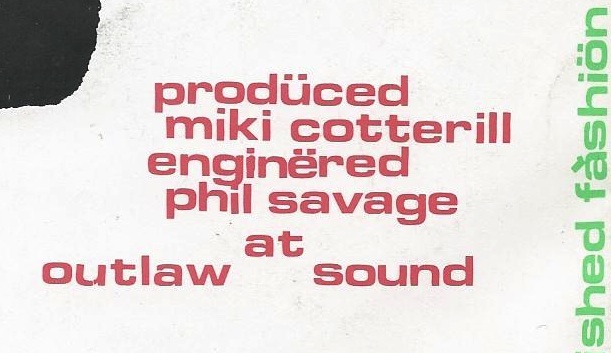 The artists I’ve interviewed all speak in the highest terms about Phil Savage as both a person and an engineer, thay also say the Outlaw was the best studio in Birmingham for sound quality. MJB Atkinson- I recorded here back in 1989 playing drums in a band called waterland. It was our first ever time in a recording studio. We laid down 3 tracks for our debut ep. What I do remember is when recording my drum tracks (in the kitchen area if I remember rightly) we picked up a phantom dog bark… It’s still on the recording as clear as day.. However there were no dogs present at all.. It’s very clear.. NOT in the distance or background. I’m thinking EVP. I’m sure that little studio was haunted.. I was trying to get hold of him to see if he still had any of my mixed tapes. We (I was the drummer with ‘Kabuki’ then) recorded the single ‘I Am a Horse’/’My Hair’ with Phil in the early 80s. Thinking about the tape machine seems so primitive compared to today’s tech but what a great sound the guy created – anyone else remember his ‘magic switch’? I do remember playing the ashtray that appeared as a percussion instrument on at least one Dexy’s track. I also recorded there with local muso John Cross. Shropshire rock band Tantrum recorded a demo at Outlaw on March 10, 1991. Nothing much to say except that on reflection the session ran very smoothly and the engineers (recording and mixing) were very professional. I left the band a year later still not knowing if we’d paid in full (or if at all). The guy who looked after our money proved to be untrustworthy and even today, nearly 25 years later, I would like the opportunity to settle the bill if it is still outstanding. I must be bonkers. 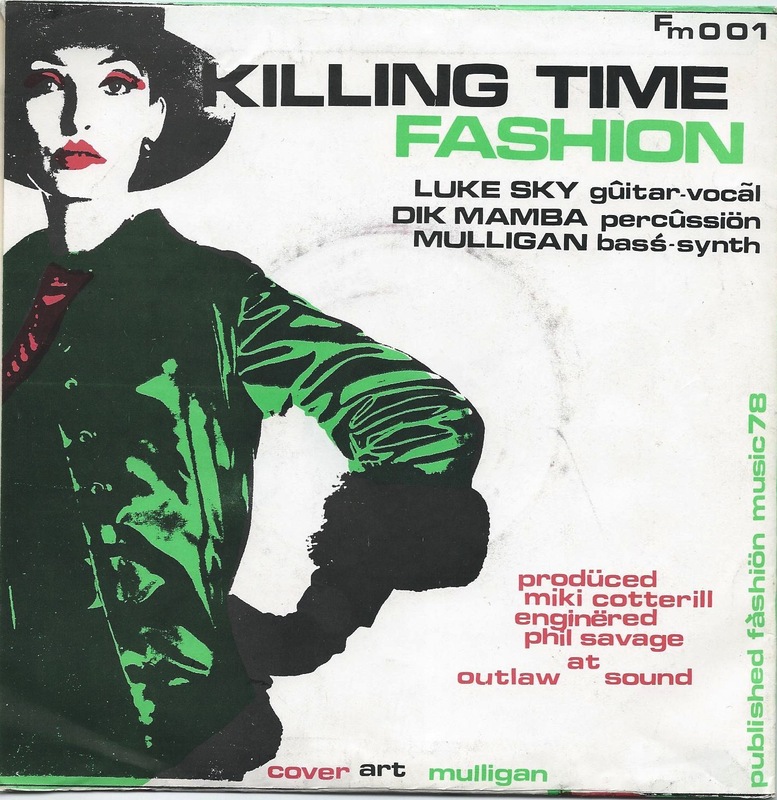 Can anyone confirm that Steel Pulse’s first single, recorded in early 1976 – Kibuku, Mansatta, Abuku – was recorded at Outlaw Studio in Bristol Street? So sad to see Phil has passed as said he was a cornerstone of the music scene in Brum back then. Two other bands for your list who recorded at Outlaw are Without A Trace and Zoo Q, neither recording got took up. (I may still have a copy of the Zoo Q recording if it helps). It should also not be forgotten that on top of the studio’s recordeding it also hosted (I believe) the first “non academic” sound recording course in the country back in the 80’s, which it was my pleasure to put together with Phil. I’d love to get a copy/hear the Zoo Q recording if you have access to it?